The BoBunny Blog: Sew Dang Cute with the Scor Buddy! Sew Dang Cute with the Scor Buddy! Today we have more projects created using the Scor-Buddy! This week we have teamed up with Scor-Pal for a little blog hop of inspiration! Scor-Pal was so very generous and sent each of our designers a Scor-Buddy to work with. The Scor-Pal is an amazing and versatile scoring tool that simplifies paper folding for such crafts as card making and scrapbooking. We are continuing the blog hop today by sharing some of the projects created by our Bo Bunny designers combining the Scor-Buddy with various Bo Bunny products and sewing! I love how Juliana punched the edges of the paper and then used the Scor Buddy to score the cardstock to make her flowers. Designer Note: The Scor-Buddy was used to create the flowers which were then embellished with the Bo Bunny Jewels. For more detailed information you can visit Juliana's blog at http://17turtles.blogspot.com. Tara also punched the edges of her paper and then scored it with the Scor Buddy to create her flowers. She used a different border punch to give her flowers a whole different look! Look at the pleated border and scored back ground Carin created with her Scor Buddy! I am in love with the effect the scoring made on the background of the heart. 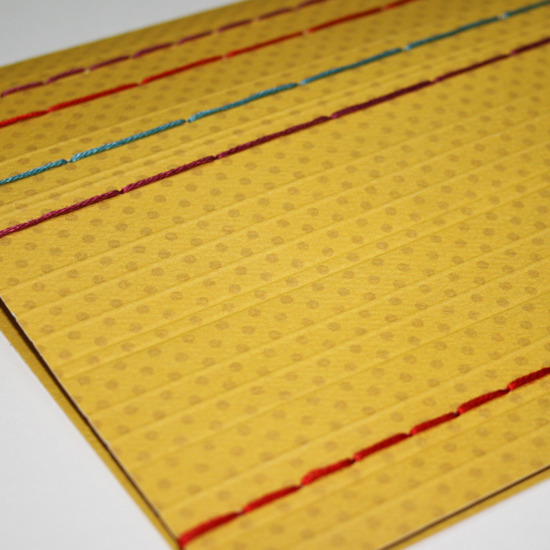 It reminds me of one of those old fashioned push pin boards. I have used the Scor Buddy to make the ruffle under the heart by scoring every 1/4 and then every 1/2 inch it makes it so much easier and neater than folding it freehand! I also used the Scor Buddy to score patterns on my heart and my title and then accentented them with some jewels and ink. How clever is this? Robbie used the Scor Buddy to create stitching guides on her cards. Just score and then stitch over the lines! How smart! 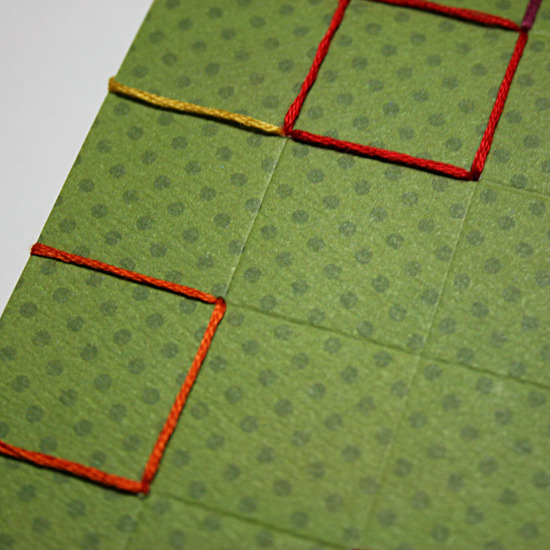 Designer Tip: When stitching on cards, use tape instead of knots to secure floss. This will keep the backside fairly flat and make it easy to attach paper or cardstock to the inside of the card to give a finished look. WHat great ideas and what a great tool to have! THanks for the inspiration! More great projects. 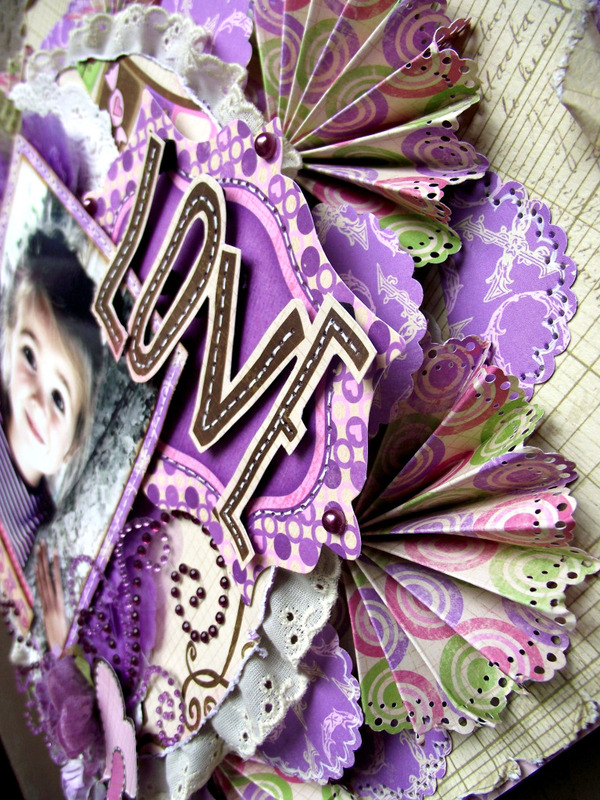 Love the paper flowers scored using the Scor-Buddy! TFS! Another fab post with great inspiration! I love all the acordion flowers! 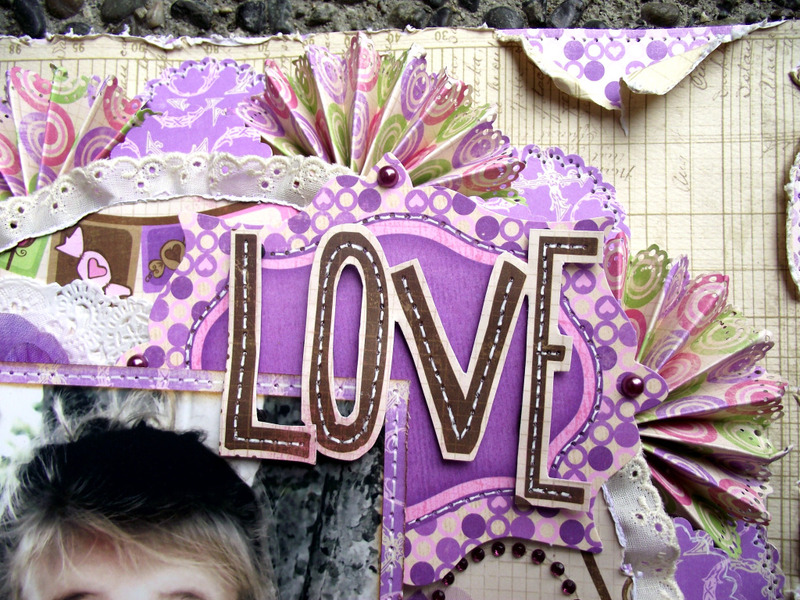 they give such a great look to the layouts, and so is the scored border for the heart. Using the score tool as guidelines for the stitching is such a clever idea! Again....great projects! Love the stitching using the Scor-Pal as a guide! What fabulous inspiration! Thanks so much to the designers. I now have to add the Scor-Buddy to my Christmas wish list. Oh my! What beautiful layouts. LOVE them. Thanks so much for sharing. such a great tool! definitely considered buying a scor-buddy with all these inspirations. Beautiful projects! I especially love that heart with the extra embossing!!!! TFS! The layouts are adorable! Love the cards with the stitching, so cute!! Lovely lovely projects! Can't wait for the next days to see what you come up with! Very nice! I am always looking for new ideas for scoring. Thank you! These pages are gorgeous. I love all of the little details that went into them. 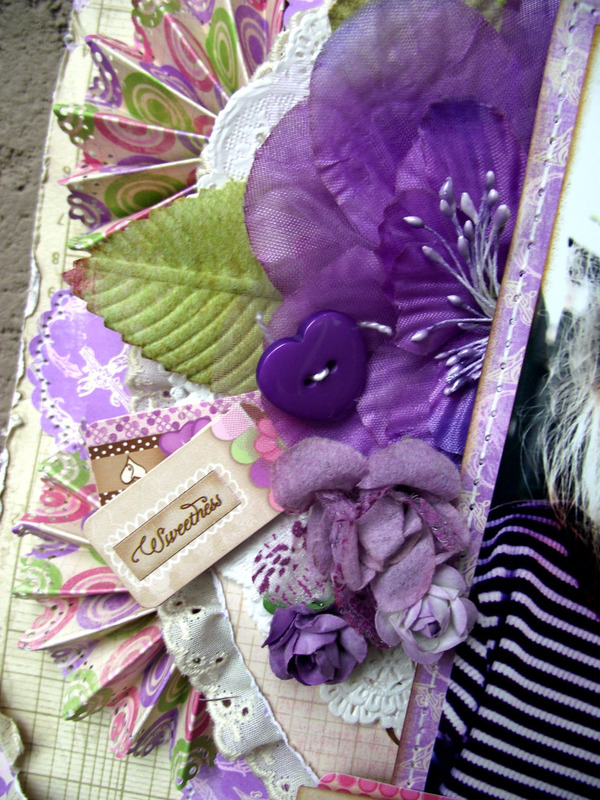 I love all the purple going on here... so bright... and what great ideas! It takes a few minutes of looking to actually take in all the details of these beautiful LOs. Good ideas! The paper flowers are great! I have been dying to get my hands on one of these Scor Pals for a while now and you've given me even more inspiration. Love the layouts! Great project idea. Love these lines. One word for all of these projects ... STUNNING! I love the sewing on these layouts! What terrific inspiration. I'm off to check out the Scor-Pal blog for today. More great projects today. I love the accordian flowers I am seeing everywhere right now. Wow, those are some amazing projects! Love all the attention to detail here! What great inspiration! Love the idea of scoring the diamonds on the heart and scoring lines for sewing! Another great day of creations. Love the rosettes. 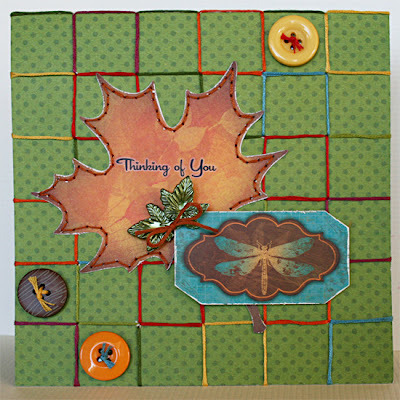 Wonderful use of scoring as a sewung guide. Thank you sharing, and the chance to win. What great layouts! The flowers really stand out, and I love the stitching on the cards, especially the second one. Wow another day of awesome prjects! TFS!! WOW, great ideas, so creative, thanks for the inspiration! Stunning projects! Loving those flowers! Wow, wow, and double wow!! These are just amazingly beautiful! Loving all the layering and texture...like the stitching detail! WOW! I love those rosette flowers. LOVE the rosettes everyone made. Very creative! all of these are simply gorgeous. Love how many ways there are to use the score-pal. Thanks for the chance to win one. such beautiful layouts. 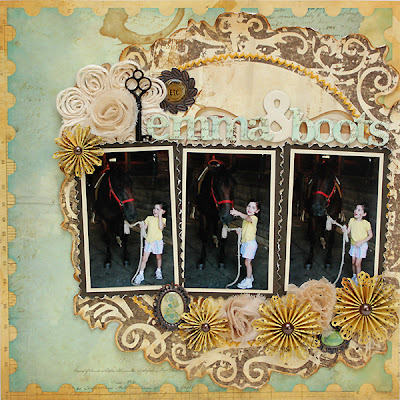 Love the rosettes/flowers made. Thanks for the inspiration and the chance to win. Wow these are all great! yummy paper! 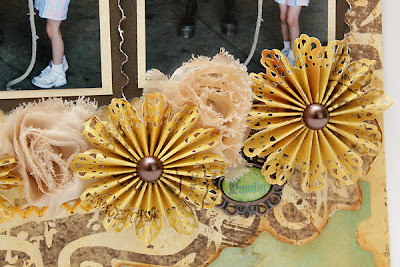 The rosette flowers are so pretty in the first project, and I like the way the rosettes are used in the second project. Nice projects all! Super cute ideas. Love the idea of a swap with Scor buddy! Absolutely gorgeous! Gee... I always think that I've seen the most beautiful use of Bo Bunny paper and embellishments, and then your design team proves me wrong again. Love the flowers that Juliana made and adore the stitching on the last one! All the projects are amazing. Can't wait to try them myself. Love all the inspiration! Thanks! 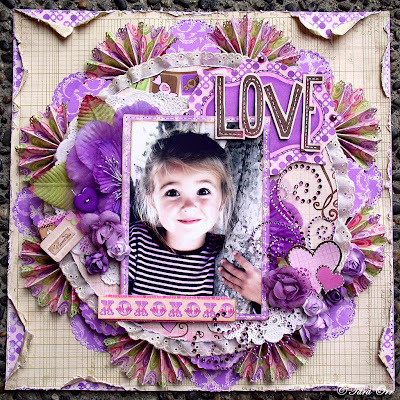 beautiful project and love the lilac-purple colour theme! Oh my goodness! 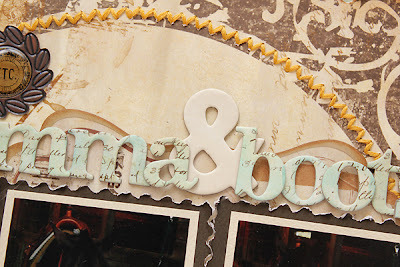 I can always count on coming to the bo bunny blog or website for inspiration! wow the design team and the staff are awesome thank you for all the time and effort you put into your projects! thank you for sharing them. Loving all the projects done with the Scor-buddy. The heart and flowers were fabulous! Scor-Pal design team also had some great projects. Scor-Buddy and Bobunny are a great match! more great projects. thank you for sharing. 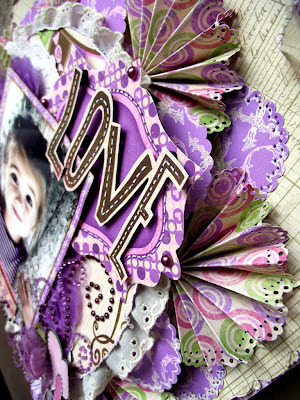 Beautiful and creative use of the scor Buddy...I will get one of these for sure!!! Such beautiful projects. Great idea to use the scoring lines for sewing. I have been thinking aobut getting a Scor-Pal. I find that the scoring device on my trimmer is tedious and that a scor-pal would make things os much easier! Very cool ideas. Truly love the flowers. These are gorgeous!!! Oh my goodness!! The heart is beautiful and the cards with the stitching over the score lines is such a great idea and so darn cute. 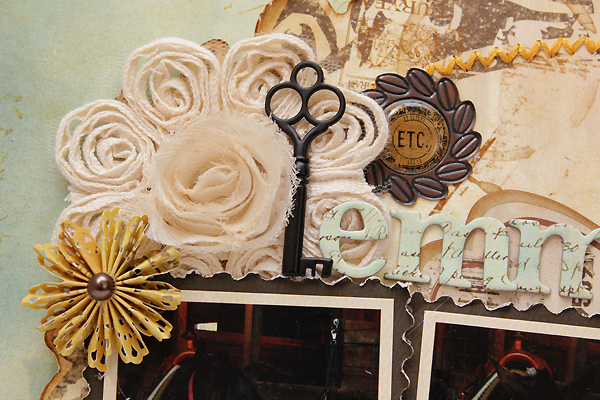 And the breathtaking layering and details on the layouts are just fabulous!!! AMAZING job!! 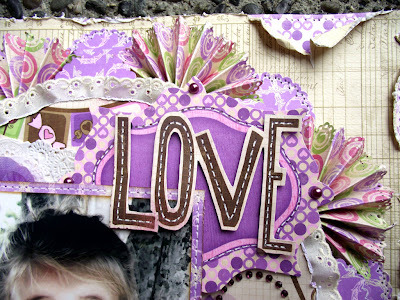 I simply loveeee that purple layout by Tara Orr. It is really popping. You know I always want a Bo Bunny prize! Heck, I always want Bo Bunny even if it's not a prize! I really love all of the sewing details added on to the pages. I quilt and scrapbook so this is right up my alley. i'm so impressed with all the projects made using the scor buddy! Now I am totally sure that I need a Scor-Pal! Great ideas! oh muh gosh! I LOVE the scored details! I had never thought to just score lines to add details to papers. And to make pleats so much easier! THank you! I'm loving all these concertina type flowers. Great ideas as usual. Love the work of this design team! Thanks for sharing such great talent! WOW! I am so impressed by these layouts! So gorgeous! Looks like I need to run out and get some new Bo Bunny paper!!!! Gotta have me some BB and SP, pretty please! I love, love love these projects. The card set is very beautiful, great idea and inspiration. Love the stitching on the card, I never thought of that. Love all the fabulous inspiration! Beautiful work on the blog today! Love the scored pattern on the heart. Awesome. Oh my goodness, loving all the layers of embellies!!! 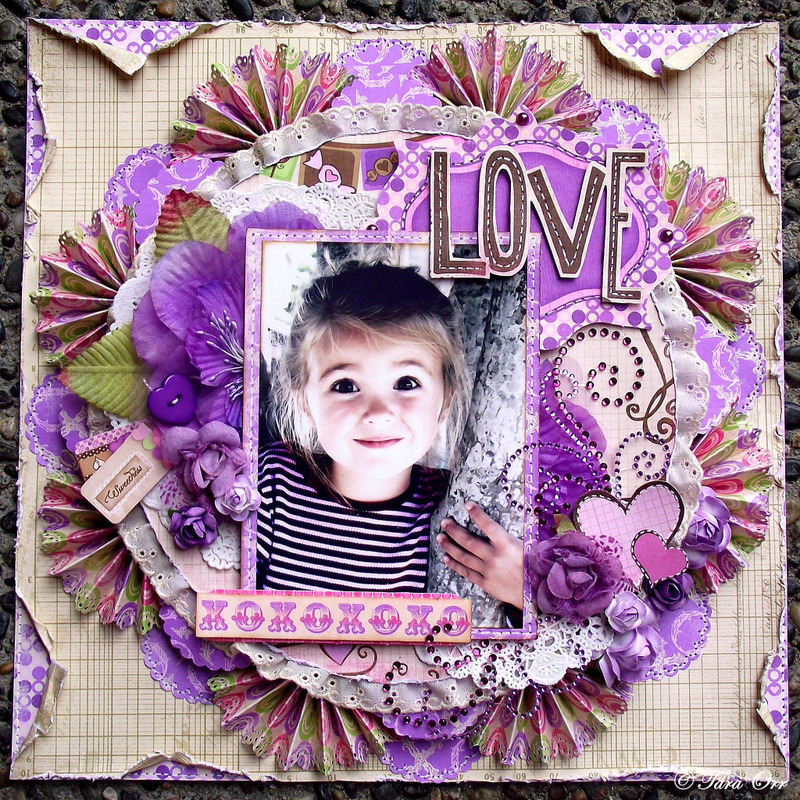 Beautiful LO's and cards! What an awesome bloghop! Bo Bunny always offers the best inspiration out there! I love your DT! Thanks for sharing! Awesome work, the flowers are fabulous. 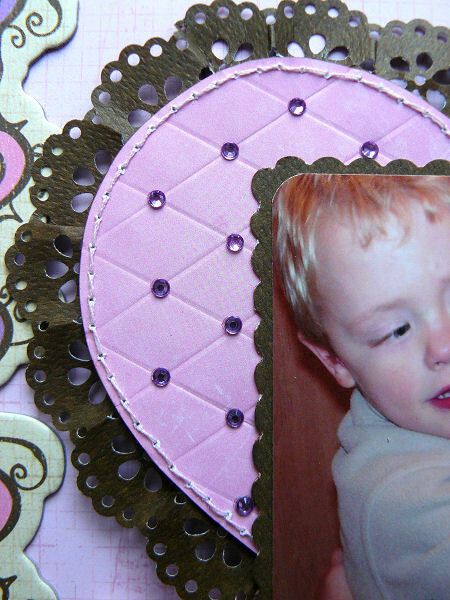 Wonderful projects - love all the added embellies with the Scor-Pal! Great projects! 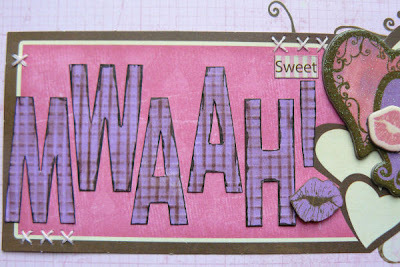 I love the way that heart was scored and embellished! Love the awesome detail and embellishing in these LO's. Thanks for all the ideas this week and the chance to win.